Whether you bought an RV to travel around the county or the country, unless it’s replacing your actual home, you’ll likely need to find a place to park it when you’re not using it. While many owners would like to have the convenience of parking the RV in their driveway it’s often not permitted by home owners associations or doesn’t offer enough protection from the elements or security from damage or theft. 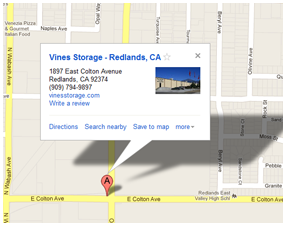 The experts at Vines Storage in Redlands, CA, have been helping their clients find storage solutions for many years. Self-storage units provide a safe, clean, and secure place to keep your RV in good shape when you’re not using it. The team at Vines Storage provides the following tips to individuals who are comparing storage facilities. Ask for dimensions and ensure that your RV, and all of your stuff, will fit. Make a test drive to ensure that you feel comfortable parking in the facility. Make sure you can turn around and back up with ease. Ask about additional features such as security, electricity and sanitary stations. Look for a facility that will customize a leasing agreement to your needs. Security – Vines Storage aims to give their clients peace of mind, knowing that their RV is safe and sound. The facility has a gate with keypad entry, full-time staff, plenty of lighting, and more than 30 cameras. Protection – Vines Storage offers both indoor and outdoor storage units for RVs. While the outdoor units may be more economical, the indoor units offer an extra layer of protection from weather and environmental elements. Convenience – Looking for a storage unit is about more than just the size of the unit, location, and number of locks on the door. It’s also important that the facility feel comfortable for the RV owner. Vines Storage goes above and beyond with amenities such as a dumping station, an ice machine, and more. For more information about how Vines Storage can help you find the storage solution you need for your recreational vehicle, call or stop by Vines Storage today.